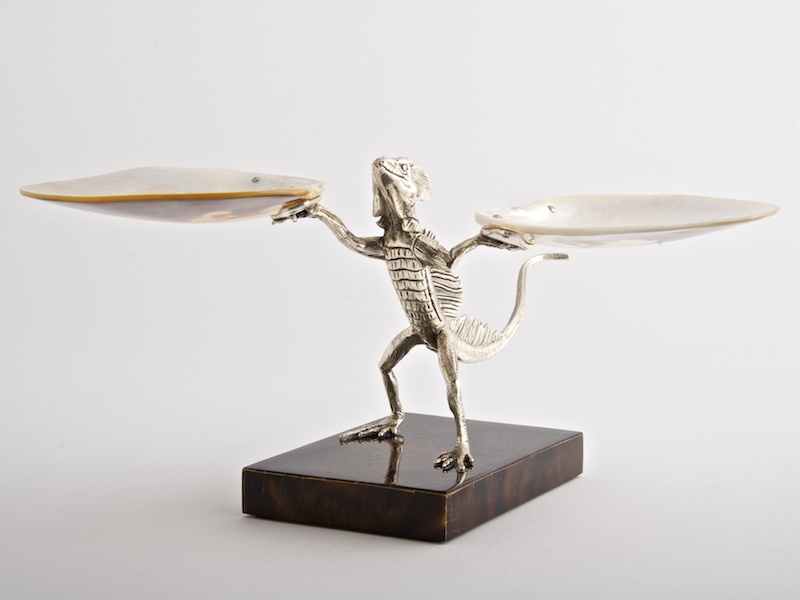 Full of character this Darwinian lizard has been a firm favourite in our collection since we first started making. 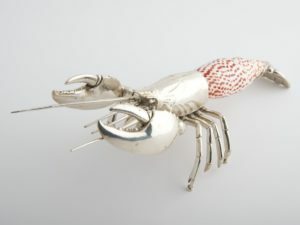 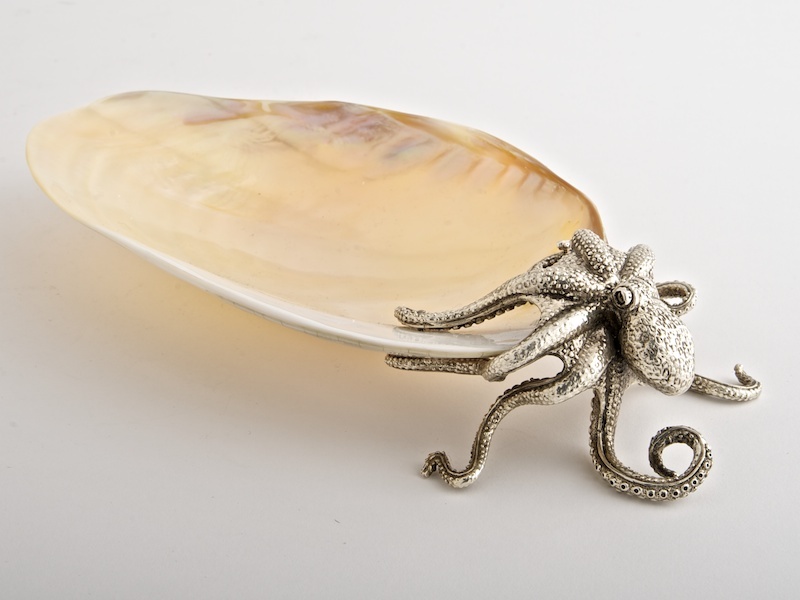 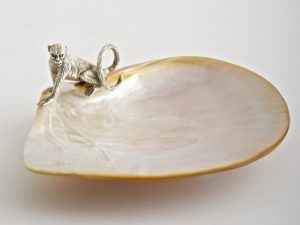 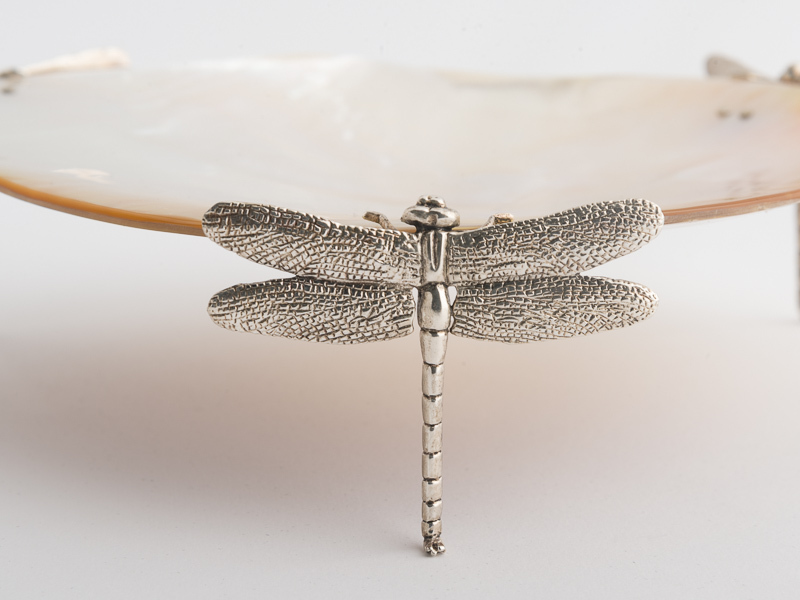 Sculpted then cast in brass and heavily silver plated, Basilisk is then fitted to two exotic, highly polished mother of pearl shells. 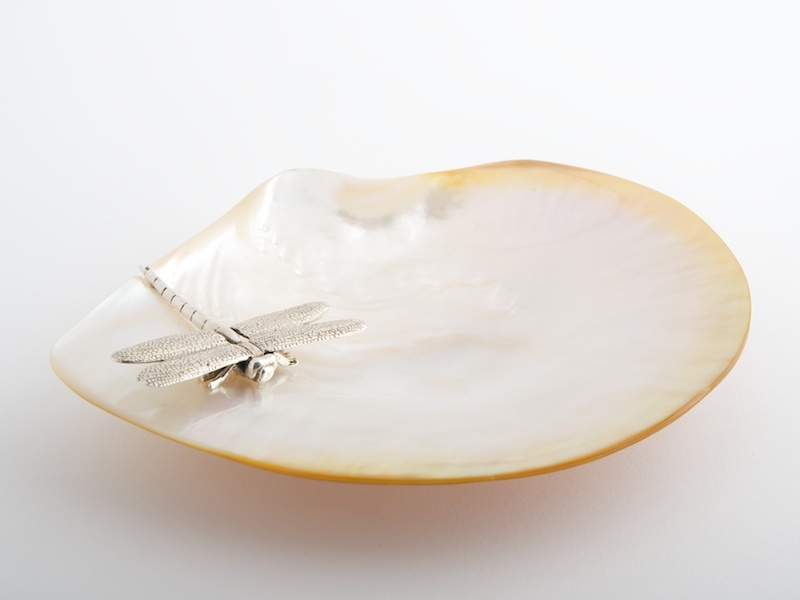 The base is hand made using small pieces of cracked Kabibi shell formed into a beautiful mosaic. 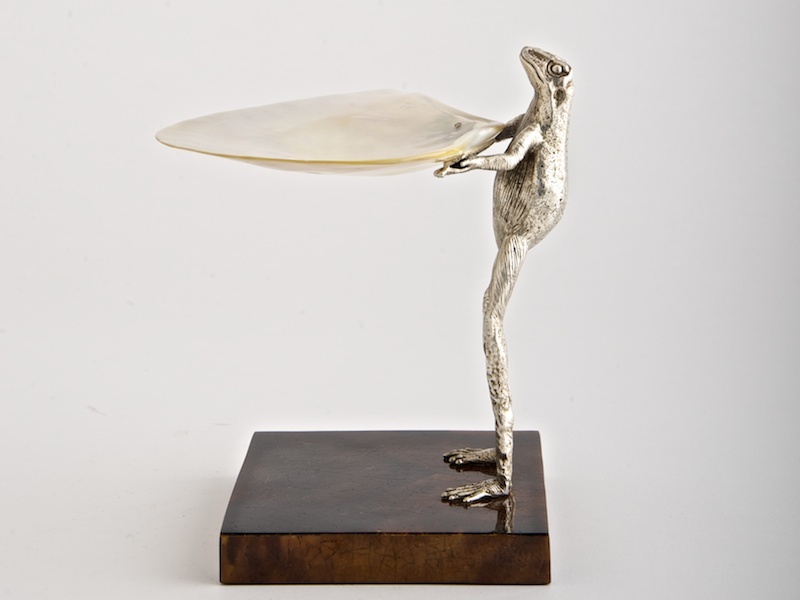 Basilisk will always make you smile.